Beautiful lines and strong visual appearance make the Lyon table by BoConcept the perfect choice for a contemporary dining room. The perfectly straight edges of the table top accentuate the geometrical expression that defines this modern table. Need extra seats? Just pull out the clever, built-in extension leaf and go from a 4-person family meal to a dinner party seating 10. 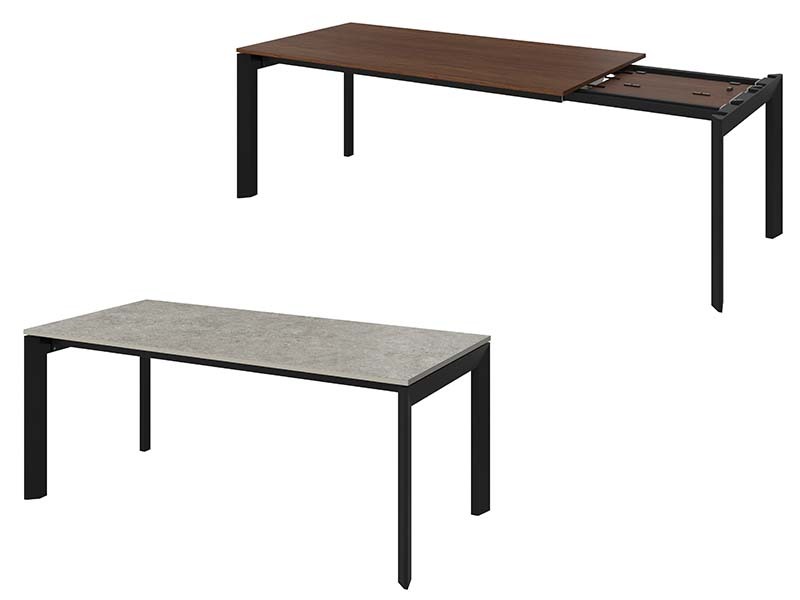 Available in premium tabletops including walnut veneer, matt white, and light grey ston ceramic. You can also customise the legs with options including both matt white and matt black.